Con Alma Health Foundation is honored to collaborate with the W.K. Kellogg Foundation (WKKF) and more than 130 organizations for a National Day of Racial Healing Today, Jan. 17, 2017. We take this opportunity to join with a larger community to help heal the wounds created by racial, ethnic and religious bias and build an equitable and just society where all children can thrive. In the next few weeks, WKKF and its Truth, Racial Healing & Transformation (TRHT) colla­borating organizations will carry out a variety of events to mark the first ever National Day of Racial Healing. The TRHT, community, corporate and non-profit partners represent a collective network of nearly 300 million Americans. 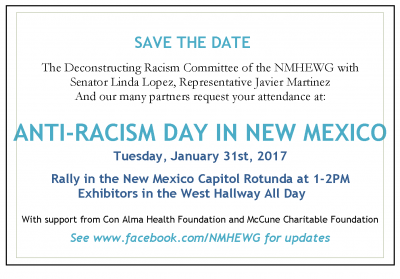 Con Alma Health Foundation invites you to this year’s Anti-Racism Day in New Mexico to be held on Tuesday, January 31st, 2017. There will be a rally in the New Mexico Capitol Rotunda from 1:00 to 2:00 PM. Exhibitors will be in the West Hallway All Day. 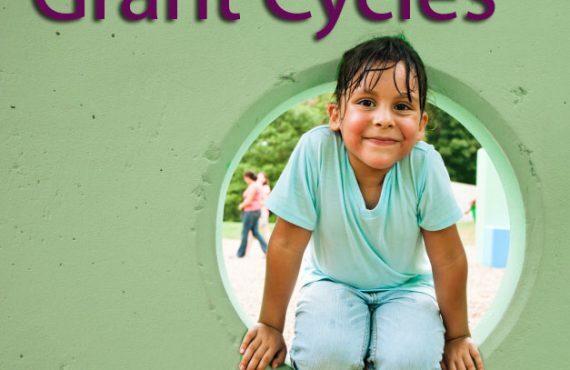 We have supported and participated in New Mexico Health Equity Working Group’s Anti-Racism Roundhouse collaborations from the beginning, and have signed onto the New Mexico Anti-Racism Pledge to signify our ongoing commitment to erase racism in our organization and the in the communities we serve.